Have scientist’s discovered what chemical and neural workings are that begin working in a woman’s brain when you give her flowers or a bouquet of flowers that cause a nothing short of euphoric mood? Whatever the reason is for the female inclination to gravitate toward anything floral, we have the expertise to make that happen. But who is this woman you have in mind of giving a bouquet of flowers to? 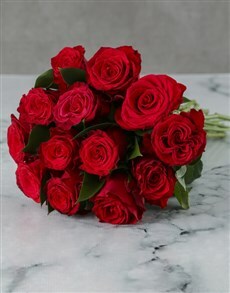 This is an important question, because the flowers for her - your great aunt in Klerksdorp is hopefully not the same as the romantic flowers you’ve just bought your girlfriend. Let’s discuss a few lucky ladies you might have in mind to be giving flowers to. Flowers for Mom. She’s the woman who raised you and dealt with all your not so great moments in life. Don’t go buy mom a quick bouquet on a grocery run. Make a special gesture and choose flowers for her that are classically beautiful – buy her a bouquet of flowers like our light pink roses in cellophane. Flowers for Gran. Your ouma, granny or grandma is no doubt close to your heart. 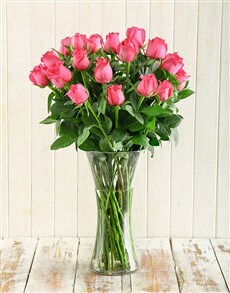 When thinking of flowers for her you can’t go wrong with beautiful flowering plants. We recommend the ever popular potted Begonias or a bright pot of Daffodils which is sure to put a smile on that wise and loving face. Flowers for your sister/in law. 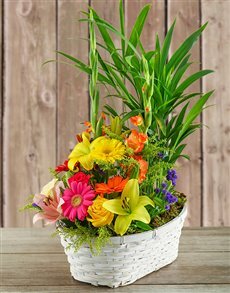 How about a fresh twist on flowers for her? 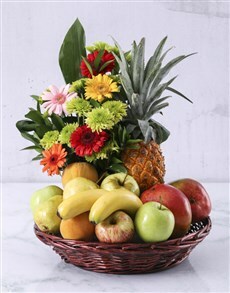 Send flower cupcake arrangements online for a whole lot of smiles. 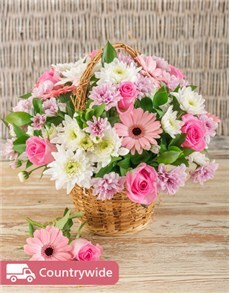 Even getting flowers for teens would suit this, we any teen girl will love a cupcake flower arrangement. A bouquet of flowers for your wife or flowers for the girlfriend. 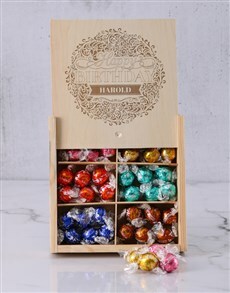 Whether you’re married or not, your sweetheart deserves a little love and romance in her life. Do it just because! 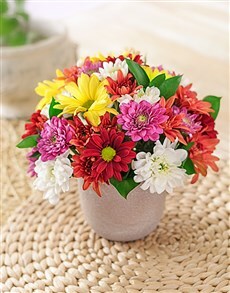 Buy flowers for her online that say love and romance or just something sweet like cheerful sunflowers or daisies.